I wanted to let you know about an exciting opportunity to attend our fundraiser honoring Konni Burton on Friday, January 31st as we fight to Take Back Senate District 10! 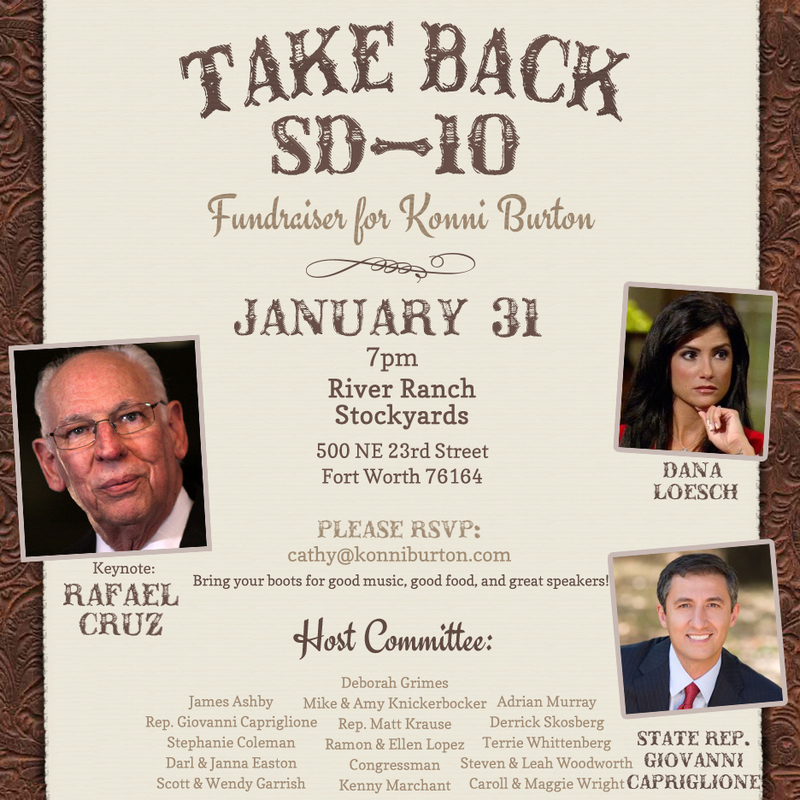 Representative Giovanni Capriglione and conservative political commentator Dana Loesch will join us along with our Guest Speaker, Rafael Cruz. The night will take place at River Ranch Stockyards. We hope you will join us that evening!